Dubai has come a long way from being a humble little seaside town. Today, Dubai is on everyone’s lips, and there are always new things there. 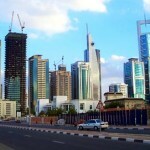 Dubai is developing rapidly and it shows. This is one reason why many investors seek potential projects in Dubai, and businessmen moves their companies to Dubai, because many people are constantly seeking for employment in Dubai. There are lots of people who want to experience this true Mecca with their mind and soul. Dubai is the fastest growing city in the world and there are no personal taxes or income taxes, there are lots of things to do and see in Dubai, Dubai owns the largest the biggest and the most beautiful architectural structures in the world and the first man made islands. Dubai’s livelihood in 18th centuries were fishing, and trading happened in Dubai Creek, and Dubai became a trading center for India and for Europe, and as soon as the British left Dubai they earned their own currency and gather the rest of the emirates together and formed UAE where the Abu Dhabi and Dubai are the main rulers of UAE. They formed The Board where it consists of leaders from each emirate. Dubai is also known for their gold, and they have markets that they call Souks, where you find most traders are, and Souks is male dominated area in Dubai. Souks has been more than a place where you can trade or purchase items, it has also been one of the most visited area in Dubai where photographers and tourists flock the area. Nightlife in Dubai starts around midnight and end at 3 am, mostly the nightclubs are dead on weekdays and lots of clubs in Dubai prefer couples and women. Dubai’s tallest building is Burj Al Arab, where you have the opportunity to view the city from a top if you make reservations ahead of time. 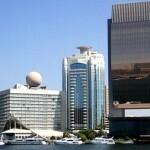 Dubai’s man made island The Palms consist of resorts, hotels and real estate properties. Dubai Mall is the largest mall in the world there are more than thousands of stores and there are also lots of entertainment in Dubai Mall such as Aquarium, big cinemas, dancing fountain, kidzania a great interactive play ground for kids, and you find thousands of cafés and restaurants in Dubai Mall. You can ride a camel or hummer in desert of Dubai for great desert adventure or you can take the hot air balloon and view the city from the top.